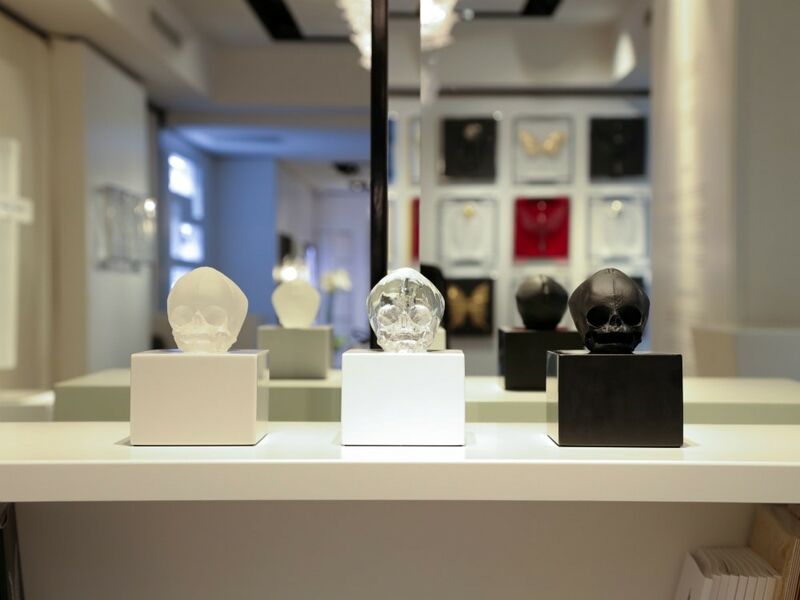 From April 2 to May 25, art fans can get a glimpse of Damien Hirst's ETERNAL, a limited-edition collaboration with French lifestyle brand Lalique, at their New York boutique at 609 Madison Avenue. Damien Hirst's ETERNAL at Lalique's Paris boutique last September. The new collection of crystal art features some of Hirst's greatest motifs: the cross, dove, skull, and butterfly, which draw their inspiration from the artist's view of the cycle of life. Hirst's artwork has sold at auction for record-breaking prices, netting nearly $200 million—the largest for a one-artist auction—when he sold an entire show, Beautiful Inside My Head Forever, in 2008. 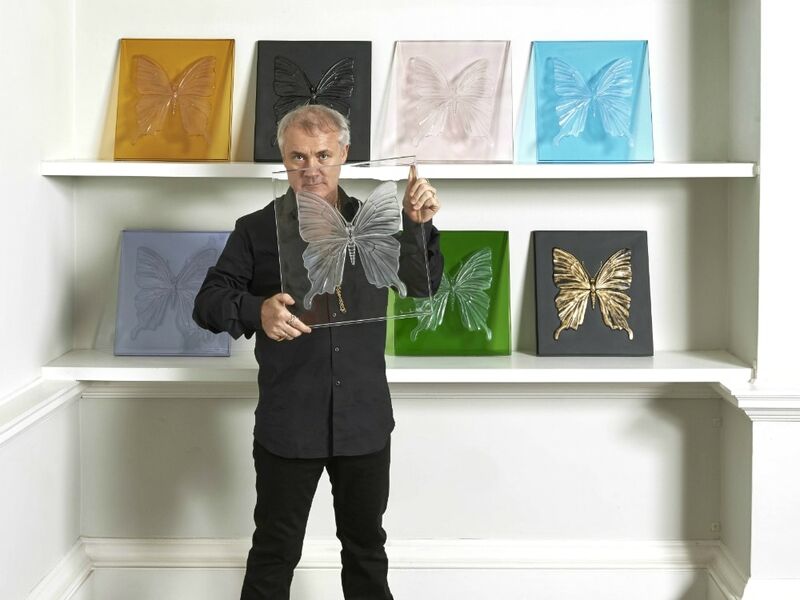 Hirst with a selection of butterflies from ETERNAL.